PUBG Map Selection Coming Soon | Nerd Much? After fans have begged and begged, PUBG Corp. is finally delivering. The developers have announced that map selection is making its way into PUBG. The company released a statement on Steam this morning confirming that the map selection option was in the works. They stated that the feature took a while to implement because there were a lot of complicated factors behind the scenes. PUBG Corp. was concerned that map selection would cause “serious increases” in the game’s matchmaking times for players. The team did research on “tens of millions of matches” and came away with helpful data sorted by different servers, modes and times to alleviate the problems they were seeing. This led to PUBG Corp. coming away with a resolution that worked with servers across all regions. They didn’t specify what the resolution was, but they promise that even the regions with “naturally low server population” won’t have an issue with matchmaking. The blog post continued to state that PUBG Corp. gathered helpful feedback data from players across the globe. This ended up forcing the team to start from scratch on development of map selection several times. It finally resulted in the effort the game will see implemented sometime soon. The UI for map selection is quite simple. Right where you choose what mode you’ll be playing, you’ll also have the option of choosing where you want to play. Just decide whether you want to play within a specific map, or choose both Erangel and Miramar (and soon to be Codename: Savage) and the game will randomly decide which map to throw you into. 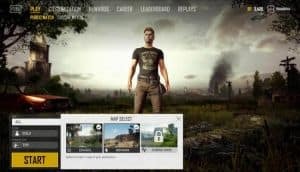 PUBG Corp. says that “work on the feature is almost complete”. The map selection option will be hitting PUBG’s test servers “soon”. Following that, the team will continue to make improvements on it before releasing it to fans worldwide outside of testing. For more on PUBG’s upcoming third map, Codename: Savage, checkout PUBG Corp’s plans for the Thailand inspired locale here.